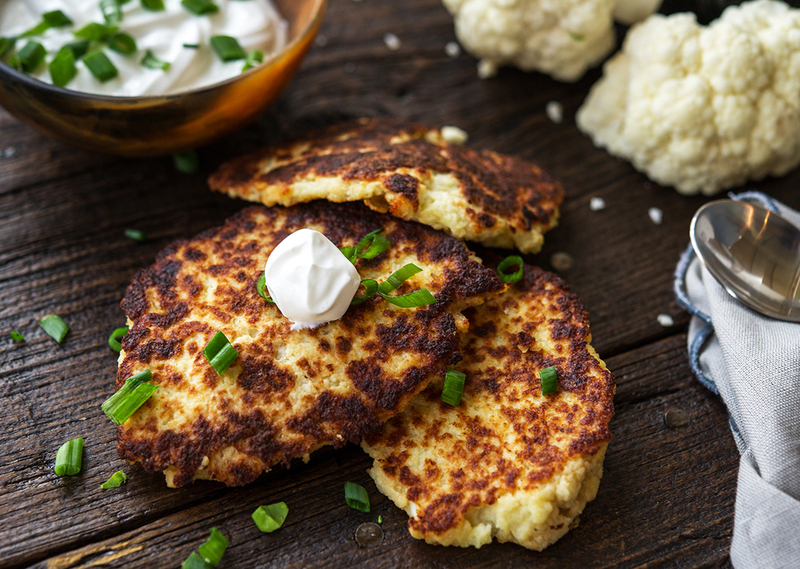 Serve these vegetarian fritters as a tasty side dish or on their own as an appetizer. Pair with sour cream or spicy ranch. 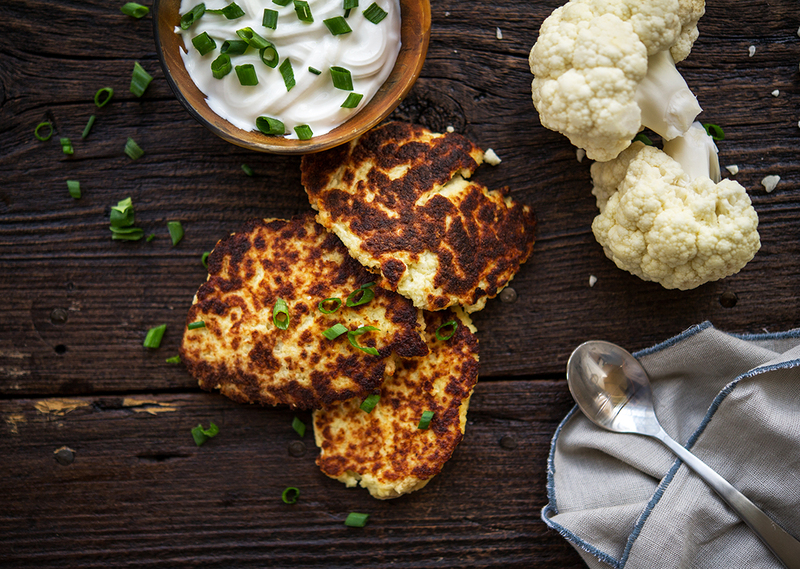 Cut cauliflower into florets and cook in boiling water until tender, about 8-10 minutes. Drain, then mince cauliflower in food processor, or using knife, until it becomes texture of rice. Combine minced cauliflower, cheese, eggs, breadcrumbs and seasoning. Attach griddle plate and preheat George Foreman Evolve Grill to 400° F.
Form patties about 3 inches in diameter. Spray small amount of cooking spray on griddle plate and place fritters on griddle until griddle is full. Cook until golden brown and set, about 3-4 minutes per side. Enjoy with sour cream or spicy ranch!